Meet Jasmine Kelley, branding extraordinaire and mastermind behind Onya’e Naturals, a safe, non-toxic, and organic skincare line made of simple, at-home-kitchen items. Jasmine majored in photography and graphic design at Pacific Union College and began research on pure ingredients for the face, body, and hair while she was a student. 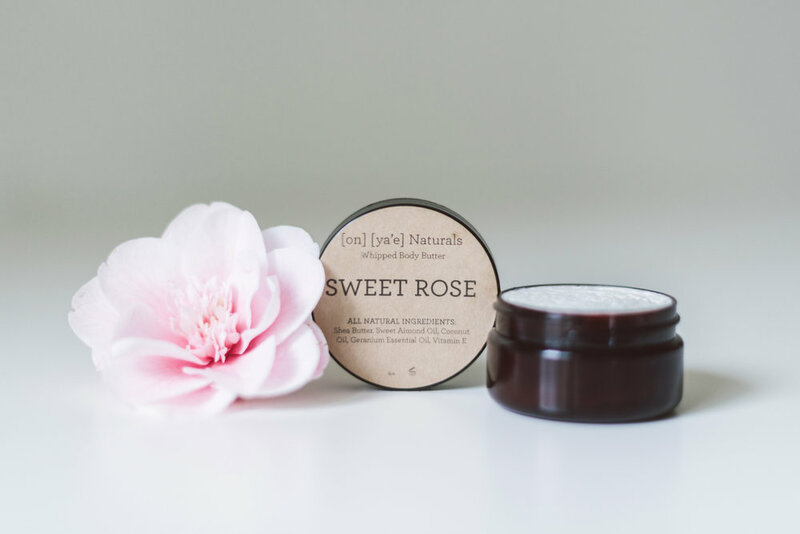 Two years later, after completing her mini skincare line for her graphic design thesis, Jasmine took her project to the next level and started her own business with only two products: lip balms and whipped body butter. Now Jasmine has over 10 vegan products she makes and sells on her Etsy shop and local boutiques in Napa Valley & Portland. Jasmine hopes to inspire others to not only become conscious consumers, but to also take the leap in jump-starting their passion project! What is the story behind Onya'e Naturals? I love answering this question. So for my last year in college (my 5th year), I created an all-natural skincare line with ingredients straight from my kitchen for my graphic design thesis. I took the photographs, frosted the jars, designed the packaging, and so on. The show was a success and I was told that I should turn it into a legit business. I started believing in myself and I created Onya'e Naturals. I cannot believe a simple project turned into a passion of mine. 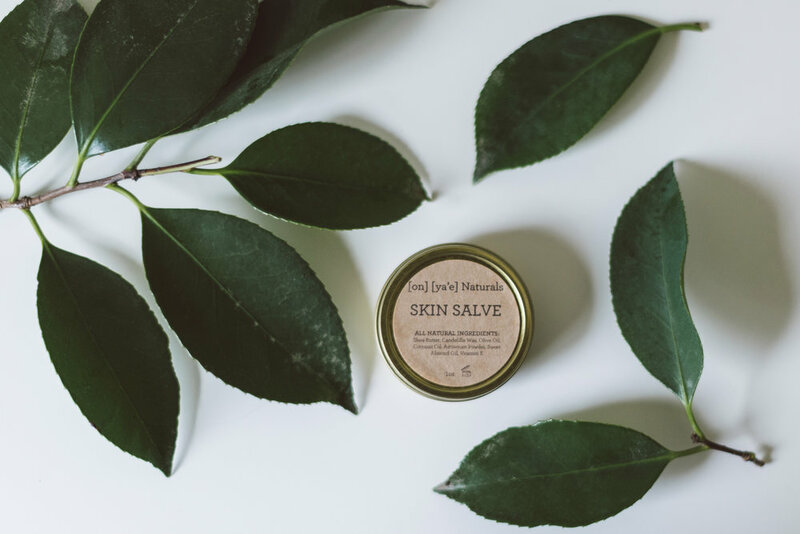 Not only do you create handmade skincare products, but you're also the genius behind the graphics and photography. Walk us through your creative process. What have been some challenges in jumpstarting Onya'e Naturals? Besides making the products, working on "the look" is so much fun. I make sure people can relate to the products. I try not to bombard everyone's social media and post only the important angles and captions. I make sure it involves a couple of key things: natural lighting, texture, and minimal designs. Sometimes I write up a list of ideas and then I make contacts with photographers to work on collaborations for the website and social media. The biggest challenge I face is not having a team and it's a bit harder to do everything by myself, but I take pride in coming up with new ideas on a regular basis. You recently moved from Napa to Portland. How does the beauty scene in Portland compare to the beauty scene in Napa? Do you feel your move has helped you grow Onya'e Naturals and as a business owner? That's a great question. As a business owner, I've noticed some much needed changes that I did not notice before. I also noticed that since Portland is bigger than Napa, this move has been a great place for businesses with handmade models - especially natural skincare. Since the demographic here in Portland consists mostly of young adults, a lot of them would rather support small businesses than large corporations. It's made my business thrive a lot more and helped me to pay closer attention to details. How has being a black woman entrepreneur shaped your business? Is there a particular moment or memory that stands out for you? Around the time I started my business was also the time I recognized that more women of color were also becoming entrepreneurs. It was rare to find a handmade, small business that was not caucasian. I was happy to be one of the first in my family to start my own venture and I was happy to see other people of color create brands that are much needed. Initially, some of my customers had no idea I was black. I personally didn't understand why that was important. I was afraid some customers would stop supporting me because of my race, but as time went on, it did not stop my brand from growing. We're big fans of your hair journey and love your "pride in the fro" motto. What are some of your recommendations for vegan, non-toxic hair products for natural hair? Thank you! I've been natural for about 4 years now. The top non-toxic ingredients that I think works well for not only my hair but also great for others are: shea butter, argan oil, sweet almond oil, coconut oil, and apple cider vinegar for the roots. I went natural because I got so tired of damaging my hair from perming it to adding too much heat. I started to watch YouTube videos by natural hair gurus and was truly inspired by Whitney (Naptural85). So I took a shower and washed my hair, and while my hair was drying, I noticed it had this natural flare to it. I wore it like that for the rest of the day and although I was nervous about it for the entire day, I've been wearing it like that ever since. I am learning to style it more and to just let it be by allowing it to grow without doing too much to it. I was annoyed with myself for being self-conscious about the hair I was born with. Now I love my hair the way it is. What is an important piece of advice you would give to women of color who may be thinking of starting their own businesses? Just do it and don't let fear get in the way. You don't need a bunch of money to start something you love. Just do it. You don't need over 8 different products to start, just have one to begin with and the rest will fall into place. Easier said than done, but it felt so good for me to just start Onya'e Naturals and to announce it so that I was held accountable. Seeing my progress from then to now has been exciting. We appreciate the hustle next to any woc entrepreneur. Aside from creating sustainable and natural beauty products, what are some of your passions? Some of my other passions are writing, figuring out other ways to style my fro (real talk), pop-culture, and reading obsessively over Haruki Murakami books. What is one thing you'd like to share with others about your identity? A huge part of my identity is my hair. I take pride in finally being comfortable to wear my hair in its natural state. Now it's a part of who I am. My peers recognize me from my hair, acquaintances remember me because of my hair, and I love that. Since my hair kind of takes over, my style has become more simple. I truly believe that less is more and I don't need to over do it with the way I dress because too much can clash with my fro. If you could change one thing about the world, what would it be? What are the steps you're taking towards that change? It were possible, I would first make sure nobody was ever homeless again. I do not have the means to provide that opportunity, but it sickens me that people are sleeping on the street while tall, empty apartment buildings are constantly being made. I think the small changes to make will be to first make the money and then provide living spaces for those in need. Secondly, it would be to have natural foods and fruit available. None of that GMO crap. The first step is starting with myself and healing myself, and learning how to say no to junk food (and I know that's going to take some time). Product shots courtesy of Allison Regan.